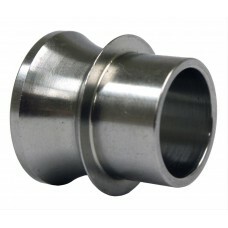 Here is where you will find various joint and rods ends from johnny joints to heim joints along with associated hardware, like jam nuts and bungs. *Requires 1.5" ID Tubing. .. Requires 2.5" ID Tubing. ..
1.25" - 12 Left Hand Jam Nut by Currie..
2.5" Johnny Joint with Left Hand Thread 1-1/4" Shank and 9/16" bolt hole. ..
2.5" Johnny Joint with Right Hand Thread 1-1/4" Shank and 9/16" bolt hole. 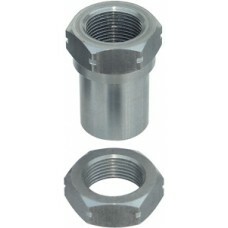 ..
3/4" - 16 Right Hand Bung by Kartek, 1" O.D. 3/4"-16 Left Hand Bung by Kartek, 1" O.D.